I am 42 and a mother of 3 wonderful girls, Georgia 20, Daisy 3 and Lottie 1. Yup, you read that right!! 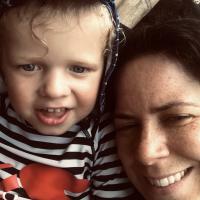 I am a stay at home mum, studying early childhood teaching at Tas Uni on line and have a small home based business with my sister Rachael called Billie Button. 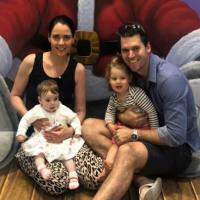 By the time I graduate I may possibly be the oldest teacher to ever graduate but I figure it means too much to me to let that get..
Claire looked after our girls (8 months and 23 months) while we were on holidays in Hobart in Jan 2019. She was fantastic with them both, very competent, communicated well and made us feel comfortable straight away. She came with great energy to engage and play with them and used initiative looking after them as required. We couldn't thank her enough and would definitely use her services again if we come back. I can be contacted as a referee if necessary. Thanks again Claire. Oh wow thank you so much Luke! It was such a pleasure hanging out with your two cherubs! Please look me up if you are ever in Hobart again! Thanks a bunch for your review!